Willie Mueller was born on Thursday, August 30, 1956, in West Bend, Wisconsin. 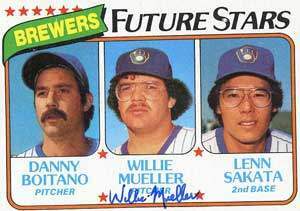 Mueller was 21 years old when he broke into the big leagues on August 12, 1978, with the Milwaukee Brewers. His biographical data, year-by-year hitting stats, fielding stats, pitching stats (where applicable), career totals, uniform numbers, salary data and miscellaneous items-of-interest are presented by Baseball Almanac on this comprehensive Willie Mueller baseball stats page. Willard Lawrence Mueller was a Major League Baseball player who pitched for the Milwaukee Brewers ( 1978 & 1981 ). 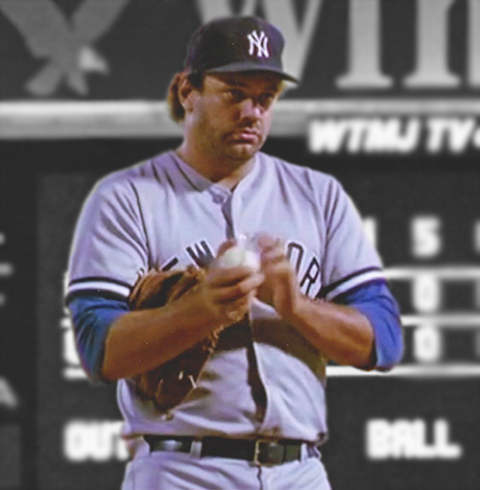 Willie, his nickname, was not drafted after graduating from West Bend West High School in 1974, but after four years in the minors, he became their first major leaguer! Do you know why he is pictured below in a Yankees ' uniform?